Do you realize how much writing is used every day? If you turn on the radio, someone wrote the song you are hearing. If you watch a movie, someone wrote the script. If you look at the back of a box of cereal someone wrote the little jokes on the back. Writing is everywhere. Now take a moment to think about how much writing is used in the office. You have to write emails, memos, letters, proposals, estimates, sometimes even employee manuals. You are the one having to put the words on the pages. Your COWORKERS, EMPLOYEES, and even your BOSS are going to be reading something that you were in charge of. What happens when there’s a misspelled word in an email that was sent out to everyone in the company? What happens when the ad you wrote has a grammatical error that no one noticed until AFTER it was published? You lose credibility. And when you lose credibility you lose customers. And when you lose customers you lose money, maybe even your job. Write Now can help you avoid embarrassing mistakes. We can help you save time by writing for you. We can catch errors before they are sent out. With our professional and creative writing solutions you never have to worry about bad spelling or incorrect grammar again. 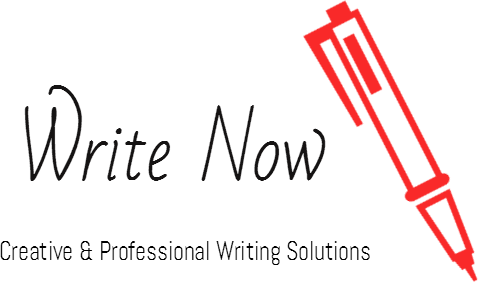 Contact us today and let us write for you, Write Now!